Ayurveda? The Definition Of A Healthy Person! Located in a secluded tropical garden we offer 5 different and individual cottages set in pure nature. Our Spirit of Life Resort is a relaxing and spiritual place, where you can calm down your body and mind. Our Cottages will be the perfect place to rest and awaken in the morning with the sounds of nature. The Cottage Standard is surrounded by nature and its private terrace invites you to enjoy the nature. 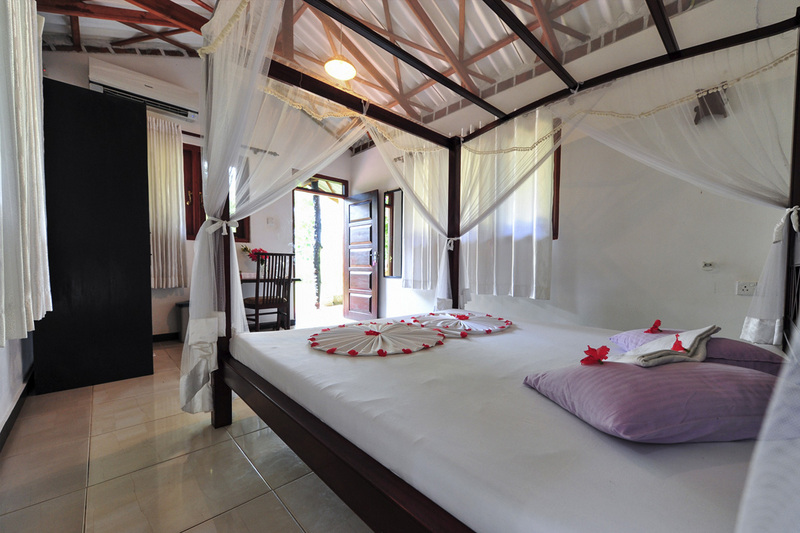 The Cottage is equipped with Air Condition and an open air bathroom with a rain forest shower. The Cottage Luxury is a very spacious cottage with a King Size double bed, walk-in wardrobe, a big private balcony and a luxury bathroom, where you can pamper yourself. 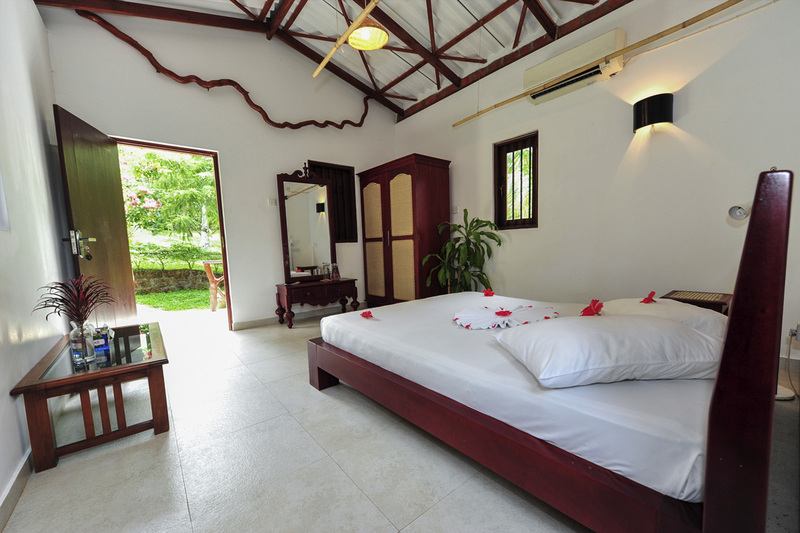 The Deluxe Cottage offers a double bed and a private terrace. The highlight is the spacious open air bathroom with a rain forest shower, where you feel like taking a shower in the jungle. The cottage is equipped with Air condition. 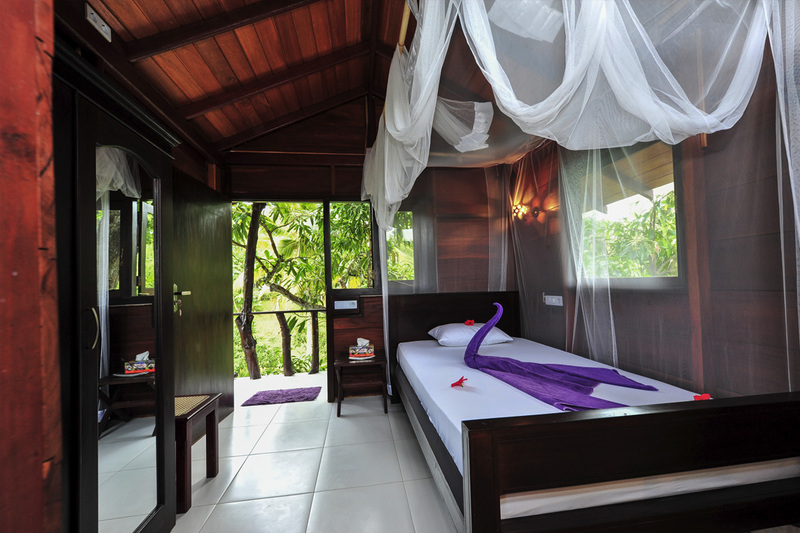 The Mango Treehouse is a special and comfortable single room on top of our Mango Tree. The sun light and the singing of the birds will wake you up in the morning. The bathroom is also set in the Treehouse with a rain forest shower. 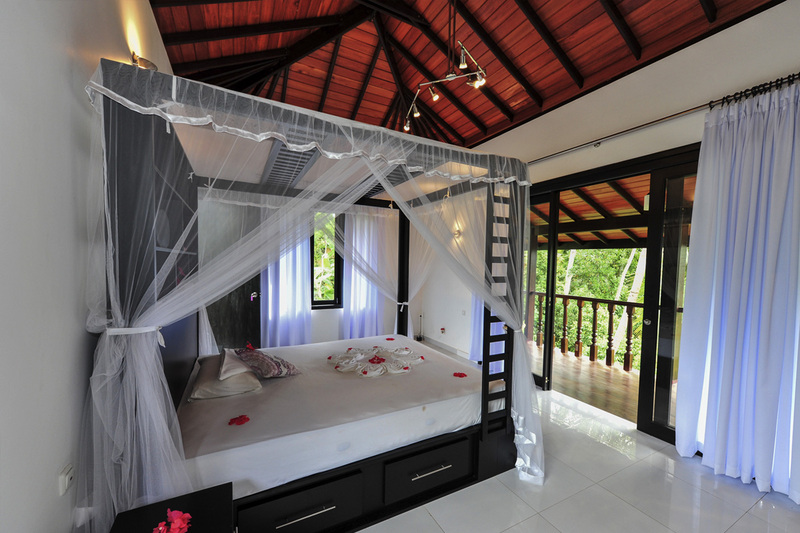 The Mango Treehouse is equipped with AC and a balcony overlooking the Resort. Our 4 room Jungle View Apartment is a place designed for peace away from it all. 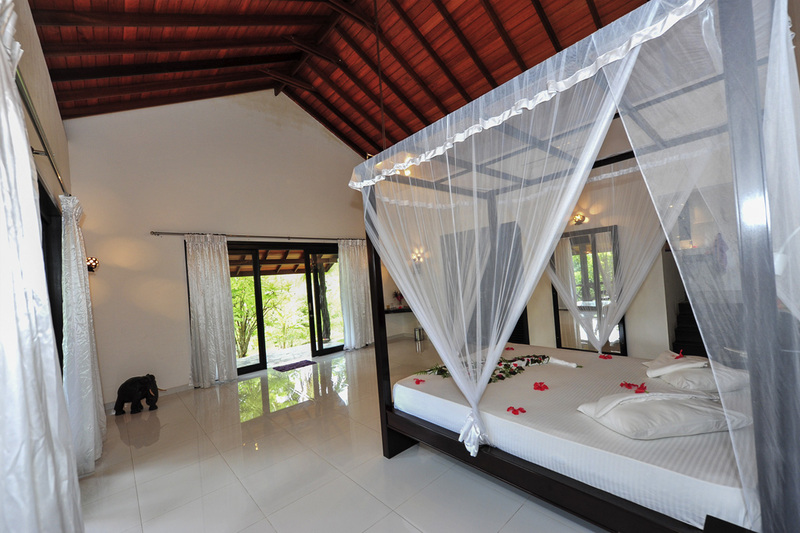 The Master Bedroom with AC is a spacious room, where you have a magnificent view over the Jungle from your bed. The second room is equipped with a Royal bed over two storeys, making it a paradise for kids. The bathroom is equipped with a rain forest shower. The apartment also offers a full equipped kitchen and makes it therefore the ideal place for families or friends or a group of 5 or 6 people. We also rent our Apartment on a monthly basis.